When you hear the word shopping, I bet socially conscious isn’t the first thing to come to mind. When a girlfriend says, “Let’s go shopping!” you probably think about your favorite boutique or department store you want to visit. Or maybe you think about a new watch or pair of jeans you’ve had your eye on. Well, if we can all start to think a little more socially conscious when we think of shopping we can make some BIG differences. Being socially conscious can mean a lot of things, so for the purpose of this specific blog I’m defining it as shopping on sites or in stores that are charitable. Again, you might think charitable? shopping? Well yes, that is exactly what I mean! When you’re thinking about buying a new Michael Kors purse or a pair of Seven Jeans, you can check out some sites and stores that might have exactly what you’re looking for and even better, donate profits to a great cause! Maybe you don’t live in Orange County but if you Google women’s charities in your area, you’d be surprised at how many have boutiques. Another way to shop socially consciously is online. Many fashion websites have teamed up with different charities that they donate a percentage of their profits to. 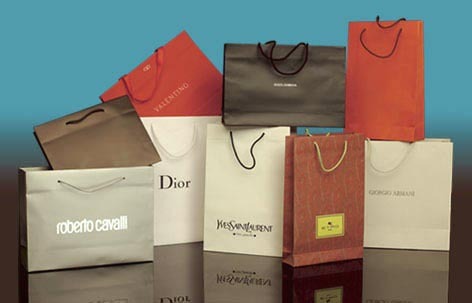 Or certain designers help out their favorite causes by donating money from the sale of certain items. At RunwayJunkie.com we hold this topic near and dear to our heart. We make it our mission to donate at least 10% of own net-profits to a variety of women’s organizations. So by shopping on our site you are helping women and getting great deals on high-end, designer items. What if I told you there was more to shopping than just clothes in your closet and a higher balance on your credit card. Surprisingly, there are some positives to this addictive habit. From your brain to your body, your whole being can benefit from a trip to the mall or a browse online. There are many different ways that shopping has been found to be a healthier habit than one would think. If you choose to take to the streets to fulfill your retail therapy you are doing more than just expanding your wardrobe. By walking when shopping you are getting exercise. You probably didn’t even realize this because it’s for pleasure, but walking around for three hours is a great way to squeeze in some calorie burning. Now maybe you don’t make it to the retail stores that often, or you just prefer to shop online, there are perks to this as well. Shopping releases endorphins and endorphins make you happy, so shopping makes you happy. How great is that?! This can happen in your own home or at the mall, but the point is that your brain feels a sense of joy from purchasing products. When shopping for women’s clothing or accessories online you could even go to a website like RunwayJunkie.com where 10% of the net-profits are donated to a variety of women’s organizations. You would be releasing endorphins and doing something great, just think how good you would feel!